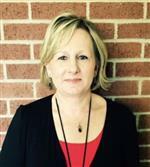 Hello, my name is Jan Davis, and I am the Instructional Coordinator here at Martinez Elementary School. I have been a classroom teacher, a Reading Recovery Specialist, a Reading System Coordinator for Istation and R180, and an Instructional Specialist for the past 21 years. All of my educational experience has been right here in Abilene, TX. I enjoy assisting teachers and providing support so they can allow all students to grow and learn on a daily basis. Thank you for sharing your children with us – we are committed to providing the best learning environment possible. It’s great to be a Martinez Tiger!